05474.13 Hummocks of toothed, obovate leaves produce racemes of white. 56258.14 (W) Siskiyou Co., CA, 1500ft, 457m. Attractive trees with smooth, dark pink bark and large, shiny green leaves. Pink flowers are followed by orange-red berries. Found in the northern coastal ranges. 78294.24 (W) Eddy Co., NM, 5500ft, 1677m. Distinctive trees with smooth, pinkish-cinnamon, exfoliating bark and shiny, elliptical leaves. The white, urn-shaped flowers are followed by bright orange berries. 56274.45 (W) Clark Co., NV, 4650ft, 1418m. Pale blue rosettes are covered with very long, fine white bristles. Pure white poppy-like flowers. Arctostaphylos canescens (Ericaceae) (100x100,Z6,P,SC,4:8w) .............................. 100 seeds / $3.50 12060.22 (W) Josephine Co., OR, 3320ft, 1012m. 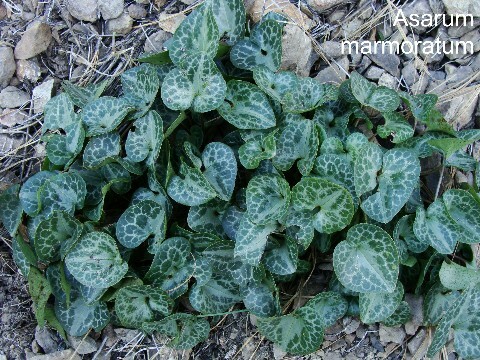 New growth is silvery due to silky hairs on the ovate, blue-green leaves. 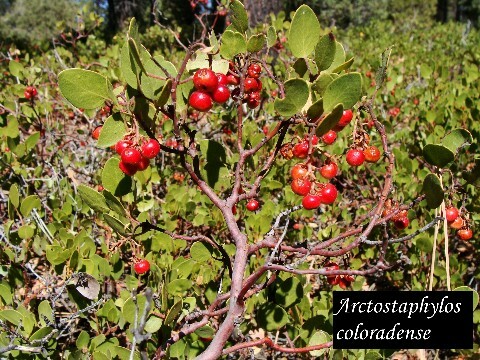 Deep cinnamon-red, smooth bark and pendulous, tomentose, pink inflorescences, followed by clusters of red berries. 12655.14 (W) Humboldt Co., CA, 3000ft, 915m. New stems and leaves are white-bristly before eventually sloughing off to reveal dark maroon, smooth bark. White flowers are followed by maroon berries. 58290.15 (W) Siskiyou Co., CA, 7100ft, 2165m. Forms miniature foot-high thickets several meters across. 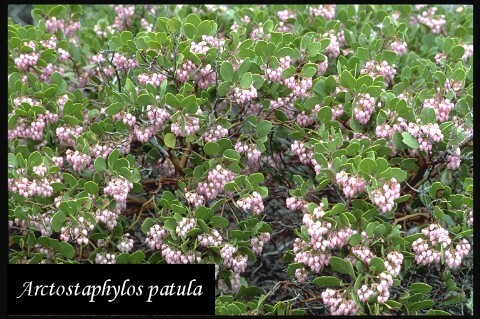 Small ovate, blue-green leaves and masses of pendant pink flowers in late spring. Arctostaphylos pringlei (Ericaceae) (150x180,Z5,P,SC,4:8w) .................................... 70 seeds / $3.50 70749.16 (W) Coconino Co., AZ, 6900ft, 2104m. These rounded schrubs of blue-green leaves and reddish bark form an arresting display when in full bloom. The inflorescences are apple-blossom pink and glandular-hairy. 56292.14 (W) Plumas Co., CA, 3300ft, 1006m. Blue-green leaves with plum-red berries. 56059.15 (W) Siskiyou Co., CA, 4750ft, 1448m. Large shrubs with smooth, veined, green leaves and dark purple-black berries. 30258.16 (W) Park Co., CO, 12300ft, 3750m. Grassy tufts carry large, snow-white blossoms on stiff, thready stems. 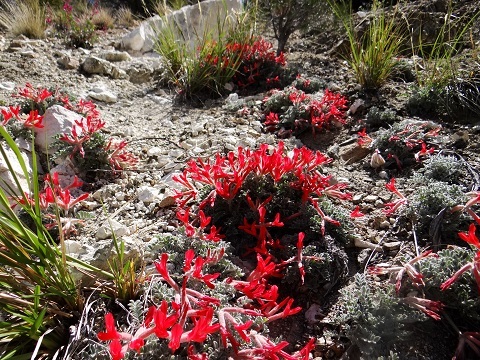 An easily-grown alpine beauty found on alpine screes. 35665.38 (W) Uintah Co., UT, 7550ft, 2302m. Exceptionally tight green cushions with micro-fine needle (acerose) foliage. Covered with dense, flat-topped cymes of white flowers in early summer. 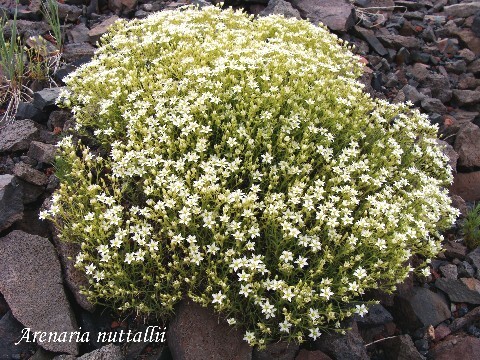 Arenaria ledebouriana (Caryophyllaceae) (10x15,Z5,P,L,3:8w) .................................. 100 seeds / $3.50 54216.00 Silver-gray, evergreen hummocks with starry, white flowers in summer. Arenaria obtusiloba (3x16,Z3,P,L,3:6w) ....................................................................... 100 seeds / $4.00 61078.18 (W) Albany Co., WY, 10850ft, 3310m. Caespitose, flat mats of needle-like leaves. White flowers on short stems cover the cushions in early summer. 76058.10 (W) Frio Co., TX, 550ft. Very prickly plants with numerous flowers in rose, lavender, pink and all shades in between. Armeria scabra ssp. sibirica (Plumbaginaceae) (10x4,Z3,P,C,3:6w) .......................... 40 seeds / $3.50 76120.15 (W) Summit Co., CO, 12300ft, 3750m. 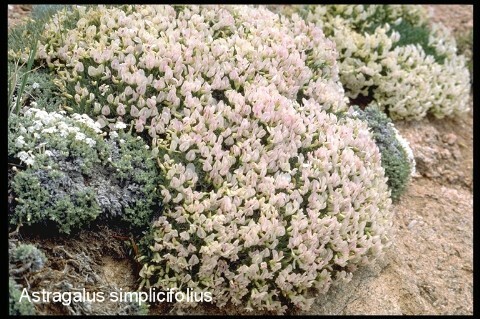 An alpine that looks like it should be growing along the seashore. Tufts of linear leaves sprout balls of pink flowers. On N-facing tundra. 07412.29 (W) Boulder Co., CO, 10800ft, 3293m. Dissected, hairy foliage unfurl nodding heads of yellow-green, the phyllaries (bracts) boldly dark-edged. 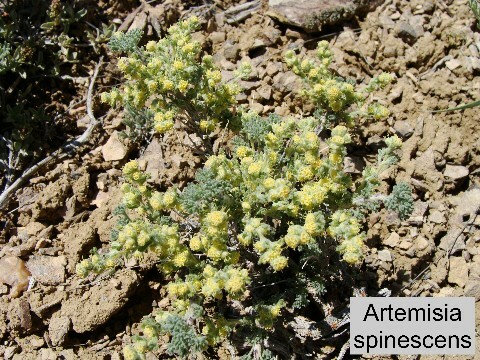 Artemisia campestris see Oligosporus pacificus. 30454.26 (W) Lincoln Co., CO, 5300ft, 1616m. Shrubby denizens of the Plains with silvery-green, thready leaves and an inflorescence of thousands of tiny, pendant, silver florets lining the stems. 30744.27 (W) Park Co., CO, 9800ft, 2988m. Condensed mats of incised silver-gray. 56414.18 (W) Carbon Co., MT, 9200ft, 2805m. Strongly-aromatic mats of irregularly-incised, emerald-green leaves. On high montane granite screes. Artemisia pedunculosa (Asteraceae) (28x25,Z5,P,L,3:8w) ............................................ 25 seeds / $3.50 70217.14 (W) Mt. Fuji, 2000m., Japan. An interesting alpine species with loose tufts of dentate leaves and racemes of pale yellow button-flowers on long pedicels. Artemisia umbelliformis (Asteraceae) (20x15,Z4,P,L,1) ............................................... 40 seeds / $3.50 85610.13 (W) Point de Parey, 2350m., Switzerland. 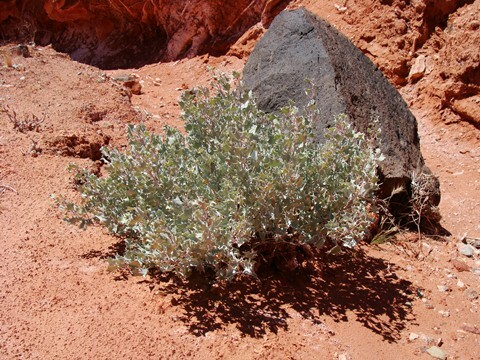 "Alpine Wormwood." 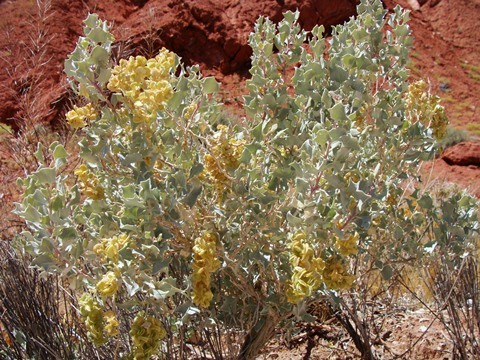 Clumps of finely-divided, silver foliage bear numerous stems with small, pale yellow flowers. 10254.17 (W) Llano Co., TX, 2100ft, 640m. See Cynanchum laeve. Asclepias arenaria (Asclepiadaceae) (35x18,Z5,P,C,3:8w) ........................................ 30 seeds / $4.00 07426.26 (W) Cheyenne Co., CO, 4625ft, 1410m. Oblong, undulating leaves with yellow and green flowers. 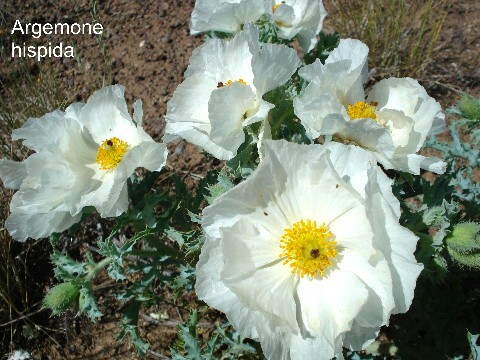 Infrequent in sandy areas or on sand dunes. Certainly unusual. 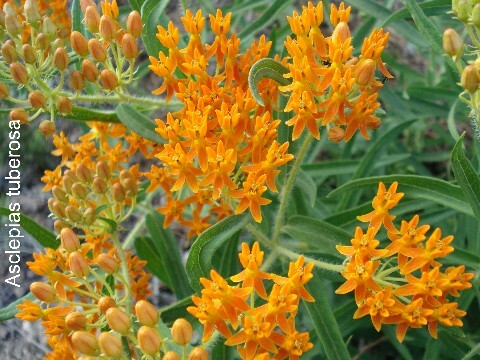 Asclepias hallii (50x100,Z4,P,C,3:6w) ................................................................................. 50 seeds / $4.00 35054.28 (W) Saguache Co., CO, 7800ft, 2378m. Typically, the coronas are cream and the corollas pale purple-pink with 40 to 60 per large umbel. 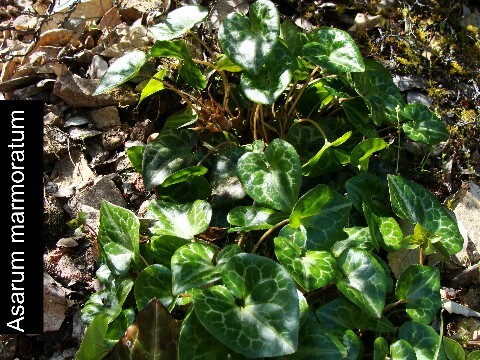 Broad plants with oblong leaves. There is considerable flower color variation -- some are all cream, others have deeper pink corollas. 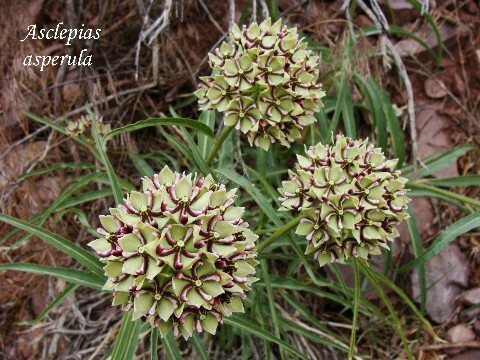 Asclepias latifolia (40x18,Z4,P,C,3:6w) ....................................................................... 50 seeds / $3.50 54078.36 (W) Lincoln Co., CO, 4925ft, 1502m. Wide, shining leaves on stout stalks bear green and yellow flowers. Asphodeline taurica (Asphodelaceae) (40x30,Z7,P,C,3:8w) .......................................... 30 seeds / $3.50 78087.04 Thick spikes of numerous 6-petalled flowers erupt from a rosette of thin leaves like an Agave. 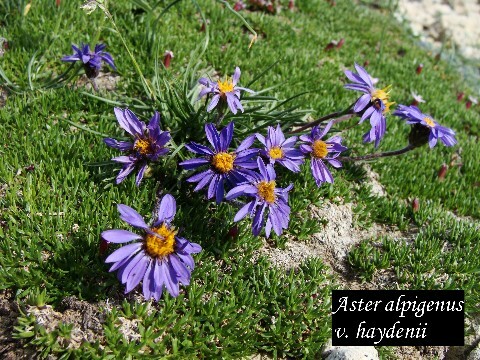 Aster alpinus v. vierhapperi (Asteraceae) (6x8,Z3,P,C,1) ........................................ 100 seeds / $4.00 05471.13 (W) Gilpin Co., CO, 11360ft, 3463m. Hairy rosettes produce nice deep-lavender flowers. 76126.45 (W) Mono Co., CA, 8000ft, 2439m. From a woody crown arises a forest of stems about 2" tall, adorned with fir-like leaves and terminated with violet daisy flowers. On volcanic substrates. 05467.17 (W) V. Urtier, SW Alps, 1900m. Pale yellow, ovoid flower heads over very hairy, long leaves comprised of dozens of leaflets. 05476.18 (W) Big Horn Co., WY, 9500ft, 2896m. Small carpets of green, pinnate leaves bear lax spikes of white/pale lavender flowers. On fractured limestone. 07612.25 (W) Montrose Co., CO, 6000ft, 1830m. 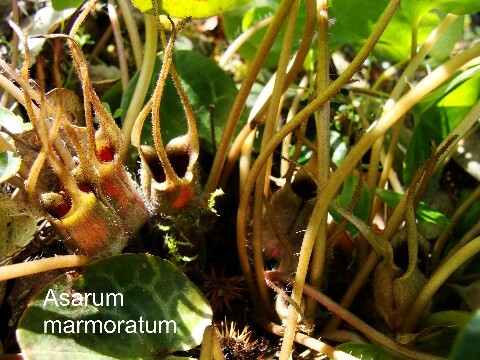 Intriguing, more like an Asclepiad than Astragalus. Fleshy, broad leaves clasp the stems, diminishing in size up to the apical purplish-pink flower clusters. Large, erect, mottled seed pods. 10075.18 (W) Johnson Co., WY, 4750ft, 1450m. Cushions of three-fingered, silvery leaves with two-toned rosy-pink flowers. 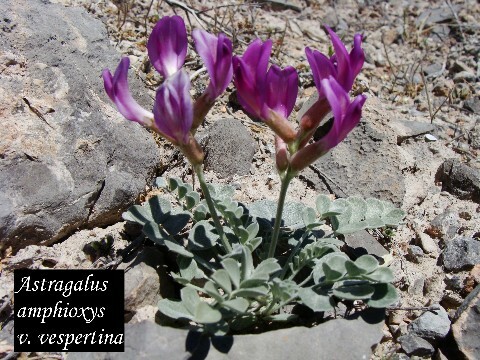 Astragalus bisulcatus (Fabaceae) (60x60,Z4,P,SC,1) ................................................. 50 seeds / $3.00 10477.14 Bushlets with large pinnatifid leaves bear several spikes of two-toned violet/purple flowers. 12351.68 (W) Duchesne Co., UT, 5400ft, 1646m. Tufts of silver-gray, pinnate foliage and purple-pink flowers with a white splotch on the banner. Astragalus chloodes (Fabaceae) (16x20,Z5,P,SC,1) ............................................... 50 seeds / $3.50 12355.21 (W) Uintah Co., UT, 5300ft, 1616m. 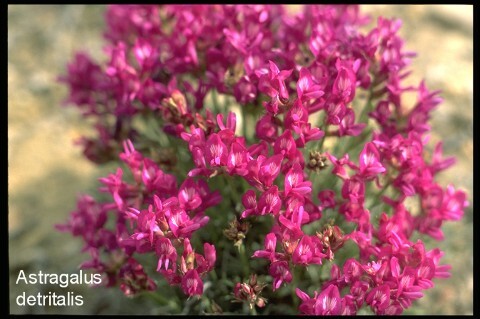 A most unusual Astragalus with magenta racemes over stiff clumps of grassy foliage. On sandstone ridges. Astragalus desperatus (8x14,Z6,P,SC,1) .......................................................................... 80 seeds / $3.50 15277.14 (W) San Juan Co., UT, 4575ft, 1395m. Tufts of pinnatifid, silvery-green leaves with short racemes of bicolor flowers, the keels pink and the banners deep lavender. Rows of hirsute, curved pods line the flower stalks at maturity. 15278.13 (W) Duchesne Co., UT, 5400ft, 1645m. Racemes of magenta arise from tufts of silver-gray foliage. Astragalus iodopetalus (Fabaceae) (8x16,Z5,P,SC,1) .................................................. 40 seeds / $4.00 46156.22 (W) Archuleta Co., CO, 6560ft, 2000m. Lavender flowers with a prominent white blotch on the banner fade to iodine-stained blue. Luxurious, arching, pinnate leaves. 52250.15 (W) Garfield Co., UT, 4500ft, 1372m. 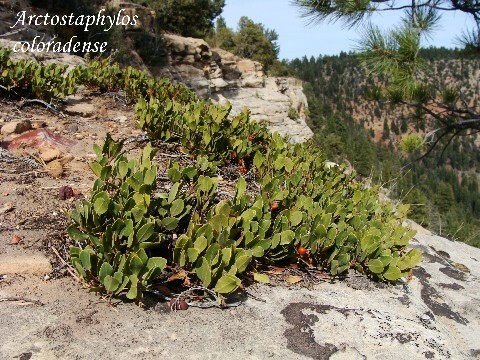 Robust, spiny-leaved mounds with small purple flowers. 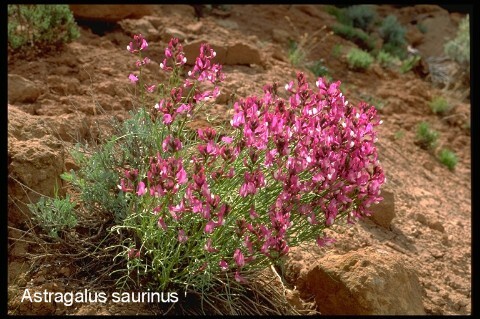 Unusual endemic to the Colorado Plateau. 56654.68 (W) San Juan Co., UT, 5250ft, 1600m. Long racemes of deep purple flowers, shading lighter on inside of banner. Felty-hairy, long-pinnate leaves. In deep, pink, sandy soils. 56876.13 (W) Carbon Co., UT, 5630ft, 1715m. Tufts of wide, gray, lanceolate leaves in threes with pink-purple flower clusters around the base of the plants. Big, pubescent, papery pods. 58078.17 (W) San Miguel Co., CO, 6000ft, 1829m. An uncommon sp. with tufts of pinnate leaves and spikes of small flowers, the banners cream and the wings and keel lavender. In sandy soil. 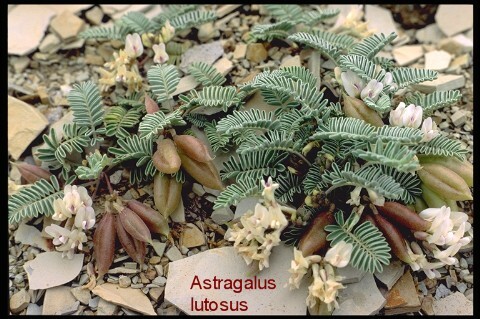 Astragalus neglectus (Fabaceae) (80x50,Z4,P,SC,1) .................................................... 40 seeds / $3.50 58232.02 A shrubby Astragalus with creamy-white blossoms over pinnate foliage. Native to the northern midwestern states, from the Dakotas to Wisconsin. 58293.60 (W) Elko Co., NV, 6300ft, 1921m. Large purple-pink to magenta flowers with white lines inside the banner over woolly, silvery-white cushions. On stony loam of sagebrush meadows. 70258.07 Bright yellow flower clusters on long stalks with bright green, pinnate leaves. The inflated fruit is densely covered with black hairs. 70872.68 (W) Butte Co., ID, 6500ft, 1982m. Tufts of silver-gray leaves. Short racemes of bright lavender flowers, the banners with a white patch. On S-facing gravel. 70874.25 Mono Co., CA, 6900ft, 2104m. Spectacular short racemes of purple-lilac are crowded over matted silvery tufts, followed by little cotton seed pod balls. On rocky granite soil. Astragalus purshii v. tinctus (6x12,Z5,P,SC,1) ....................................................... 40 seeds / $4.00 70875.36 (W) Ventura Co., CA, 7500ft, 2287m. Purple-pink flowers in sessile umbels borne on tight mats of woolly, blue-silver leaves are followed by woolly, white pods. 76275.17 (W) Weld Co., CO, 5900ft, 1800m. Silver mats of woolly, tri-fingered foliage. Small pink-purple blossoms. 76812.10 (W) Grant Co., WA, 700ft, 213m. Prostrate stems end in a spectacular pink and lavender inflorescence. 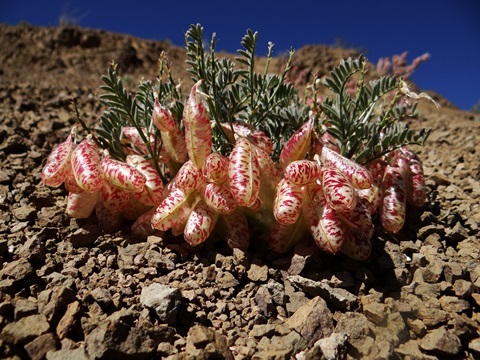 Grows in sand over lava outcrops. 85812.15 (W) Millard Co., UT, 4800ft, 1463m. One of the rarest and tiniest of Astragali, its name means "a twelfth of a foot." Silvery-gray tufts bear relatively large pink-purple to violet flowers followed by flattened seed pods with horns. Very restricted range in the Great Basin. 98465.19 (W) Kane Co., UT, 4900ft, 1494m. Purple/pink/white flowers on tufts with marcescent spines. Asyneuma limonifolium (Campanulaceae) (40x18,Z5,P,L,3:6w) .................................... 80 seeds / $3.50 54456.13 (W) Alps, 2300m., Germany. 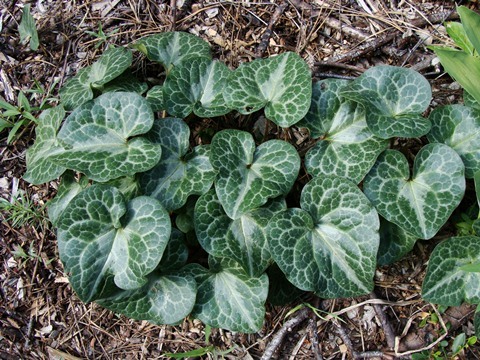 Clump-forming perennial whose basal leaves are oblong and undulate. Densely-packed spikes of violet-blue. 35486.48 (W) Gooding Co., ID, 3800ft, 1158m. 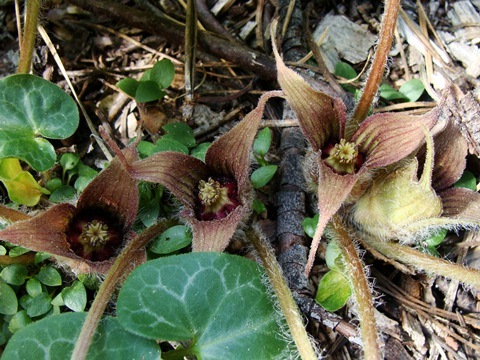 (= B. hookeri v. hispidula.) A somewhat larger form of B. hookeri with stiff hairs on the leaves. On loam derived from basalt. Balsamorhiza hookeri v. lagocephala (Asteraceae) (25x20,Z6,P,L,3:6w) .................. 55 seeds / $3.50 35666.23 (W) Kittitas Co., WA, 4100ft, 1250m. Deeply dissected leaves and solitary yellow flowers over smaller plants than the typical B. hookeri. Balsamorhiza sericea (Asteraceae) (20x24,Z6,P,L,3:6w) ......................................... 30 seeds / $3.50 76284.11 (W) Josephine Co., OR, 1500ft, 457m. Deeply-dissected leaves with tiny adpressed hairs give a satiny sheen to the upper surfaces. 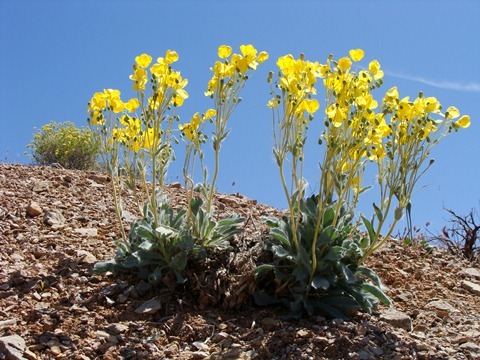 Yellow flowers are borne on variable-length stems. 08867.14 A classic plant with rich indigo-blue racemes nearly a foot long over blue-green foliage. Baptisia bracteata (Fabaceae) (65x65,Z4,P,SC,1) ....................................................... 20 seeds / $4.00 10741.14 Magnificent clusters of rich, creamy-yellow flowers in early summer. Long-lived plant. 54022.13 Large, white pea-flowers over semi-waxy, blue-green foliage. Baptisia minor (Fabaceae) (80x50,Z4,P,SC,1) .............................................................. 30 seeds / $4.00 56468.04 A dwarf form of B. australis with deep blue flowers on small shrublets. Baptisia sphaerocarpa (Fabaceae) (80x50,Z5,P,SC,1) .............................................. 30 seeds / $3.50 76708.06 Beautiful large yellow blossoms carried high above the foliage in early summer. Baptisia tinctoria (50x30,Z4,P,SC,1) .............................................................................. 40 seeds / $3.50 78468.02 Numerous racemes of small yellow flowers later than the other Baptisias. 32771.08 "Hardy Begonia." A tuberous species with loads of pendant, fragrant pink flowers most of the summer and fall. May survive to Zone 7 with protection. Bergeranthus jamesii (Aizoaceae) (8x12,Z7,P,L,1) ........................................................ 60 seeds / $3.50 50066.02 Ex Thompson. Dense tufts of narrow leaves sprout unending yellow flowers. 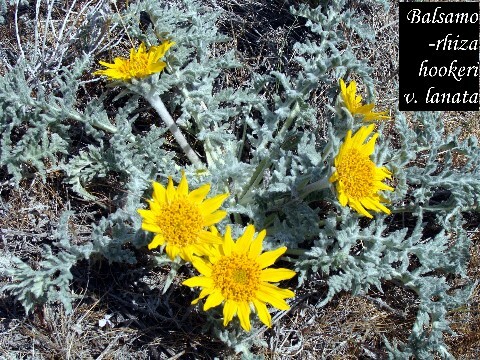 Berkheya cirsiifolia (Asteraceae) (60x60,Z8,P,L,1) ................................................. 50 seeds / $3.50 12484.00 Wickedly spiny rosettes bear white daisy flowers with yellow centers. Besseya alpina (Scrophulariaceae) (10x8,Z3,P,L,3:8w) ............................................... 100 seeds / $4.00 06470.14 (W) Park Co., CO, 12750ft, 3887m. Short spikes of deep violet-purple above basal, crenulate rosettes. Sparse on steep alpine screes. Besseya wyomingensis (Scrophulariaceae) (12x7,Z3,P,L,3:8w) ................................... 100 seeds / $4.00 92967.54 (W) Teton Co., MT, 7700ft, 2348m. Erect spikes of white wool turn pinkish in early spring. On a rather steep, E-facing limestone slope at timberline. Buddleia utahensis (Loganiaceae) (20x20,Z7,P,L,1) ............................................... 100 seeds / $3.50 87805.21 (W) Washington Co., UT, 3700ft, 1125m. Crenulate leaves and skewered flower balls, several to each stem. Each fuzzy ball bears several florets, creamy yellow to purplish. 32475.10 (W) Grant Co., NM, 5700ft, 1738m. 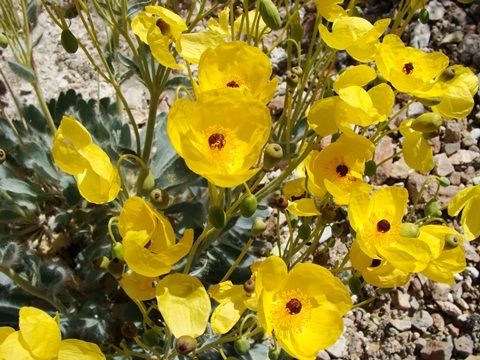 This Argentinian native has naturalized itself in some areas of the southwestern U.S. Pyramidal racemes of yellow have super long red stamens. Thornless Acacia-like growth. Callianthemum coriandrifolium (Ranunculaceae) (14x24,Z4,P,GL,4:12w) .................. 30 seeds / $5.00 12701.15 (W) Carpathians, 9800ft, 3000m. Gray-green, pinnate leaves, each leaflet deeply and narrowly lobed, giving rise to a sculptured look, like parsley leaves. Solitary flowers of 10-13 white petals. 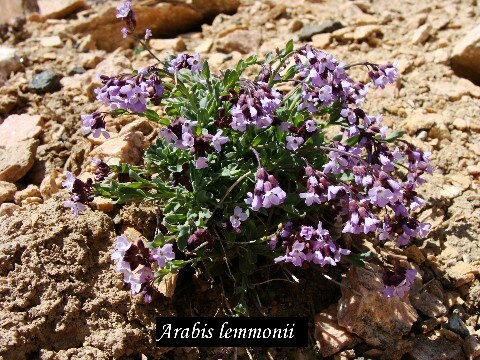 Grows in the Alps, Carpathians and Pyrenees in peaty to stony screes. Callirhoe bushii (Malvaceae) (50x100,Z5,P,SC,4:6w) .................................................... 30 seeds / $3.50 10896.02 Magenta to pink flowers on plants which initially grow erect but eventually spread more sideways. Callirhoe digitata (Malvaceae) (80x36,Z4,P,SC,4:6w) ............................................... 50 seeds / $3.00 15452.06 An upright, bushy plant compared to the sprawling habit of C. involucrata, this long-blooming perennial is loaded with pink to magenta flowers for most of the summer. Callirhoe involucrata (Malvaceae) (16x120,Z4,P,SC,4:6w) ........................................ 60 seeds / $3.00 47890.06 Cupped flowers of shimmering claret unfurl along runners of deep-green, fingered leaves. Callirhoe triangulata (Malvaceae) (12x50,Z5,P,SC,3:6w) ....................................... 40 seeds / $3.00 78746.09 Velvety, triangular, crenulate leaves on compact trailing stems terminate in deep magenta Hollyhock-like flower clusters. Long blooming from mid-summer until autumn.